Here’s reason to raise a glass! This gluten free cocktail by our friend John Gaines isn’t too sweet yet captures the flavors and festivity of the holidays. 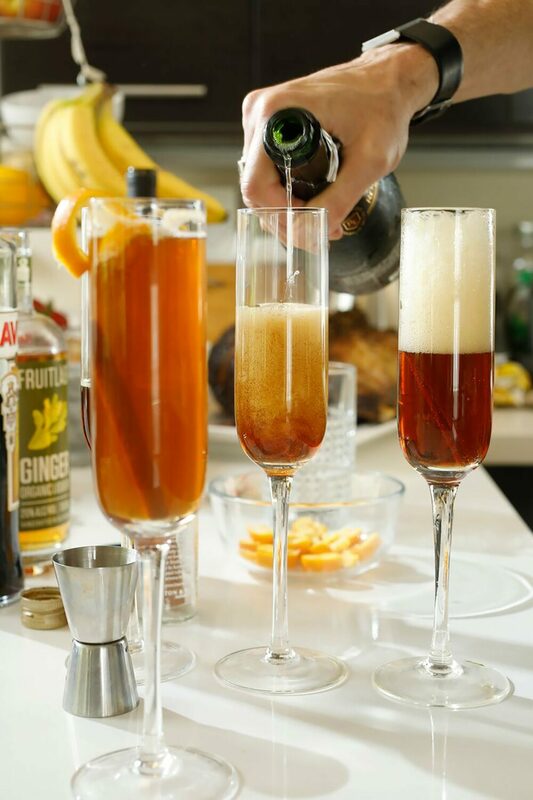 Pour the ginger liqueur and Averna into a champagne flute. For an ombré effect, pour the apple juice slowly down the inside of the glass, then do the same with the sparkling wine. Add a cinnamon stick and an orange twist and serve.